But…here’s the funny/maybe not funny thing: The day I turned in my book manuscript…the day that all writers dream of and look forward to, and most often celebrate with a bottle of champagne and a few solid weeks away from writing altogether…well on that day I sent an email to my book agent essentially saying “So, when can I turn in my next book proposal? I’m so excited to start working on it!” To which he wrote back to tell me that he’s never had an author email him about their next book on the same day they turned in their first manuscript. That I’m a #3 on the Enneagram! Yes. We’re here! FINALLY. Today we get to talk about the Enneagram Personality Profile. One of my very favorite things to talk about! I have a bunch to cover here, but first — I should explain what it is for those of you who are not familiar. For what it’s worth, I’ve never been a big personality-test person. I’ve taken a few, but I didn’t feel like they offered me much to work with; I felt like they put people in a box, and that didn’t offer help with growth or development. What I think makes the Enneagram different is that it looks at both the strengths and weaknesses of each personality type, and allows for more fluidity of personality under different circumstances. Instead of placing us in a box, the Enneagram suggests we have a lot of control over how we manifest our God-given personalities. Now a quick disclaimer: I am not an expert on the Enneagram. I’m just sharing my personal experience and appreciation for it. I also want to note that I only use the Enneagram at its most basic level–as a personality typing which offers a bit of insight into myself and others. I do not use it for spiritual direction, and I would never suggest anyone do that. With that said, the Enneagram has definitely helped me understand myself: both my strengths and weaknesses. I am an Enneagram 3, and I have a 2-wing, which means I am an achiever that loves to help others. If you’ve followed my blog for long, this probably makes sense; I love to work hard and then I want to help others with what I have learned. I also recognize areas I should be cautious of, like working too much (I still have 3 kids to care for and homeschool!) or being focused on image (hello, social media.) Most of all though, I think that understanding my personality has helped me appreciate things about myself that used to seem plain weird or wrong. (Like wanting to write another book the minute I finish the last one.) I feel like the Enneagram has liberated me to be more fully me. And that’s pretty cool. When you discover the Enneagram types of your family members (and you can’t help but do that) you might gain more insight into what makes them tick…Why one of your kids always has to have the first and last word, and another will do anything to keep the peace. You will appreciate the friend (or co-worker or mother-in-law) who always wants to help people, and has hurt feelings when she doesn’t feel appreciated. And…you might have more appreciation for your husband, who can only take so much social stimulation before he looks like his head might explode, and then lays awake for hours reading an article on his iPhone about ancient Greek Civilizations (or World War II, or hockey, or tractor engines or _______-fill in the blank) because HE’S A FIVE AND FIVES MUST KNOW ALL OF THE THINGS. If you are lucky enough to be married to a five (because they are pretty great) then you will have super fun date nights talking about the Enneagram, because though Fives don’t usually talk a lot, they love talking about the Enneagram. After all — the Enneagram is a bunch of information, and, of course, information is life. I could talk all day about all of my family members and how much I’ve learned about them…Like how I now understand why on a hard day, Luke (an Enneagram 7) wants to drown himself in Oreos or will escape to Google earth where I’ll find him planning his dream vacation because 7’s LIVE FOR FUN AND PLEASURE and feel a survival-like need to avoid pain and hard days at all cost. This also explains why Luke and my mom have always been kindred spirits. 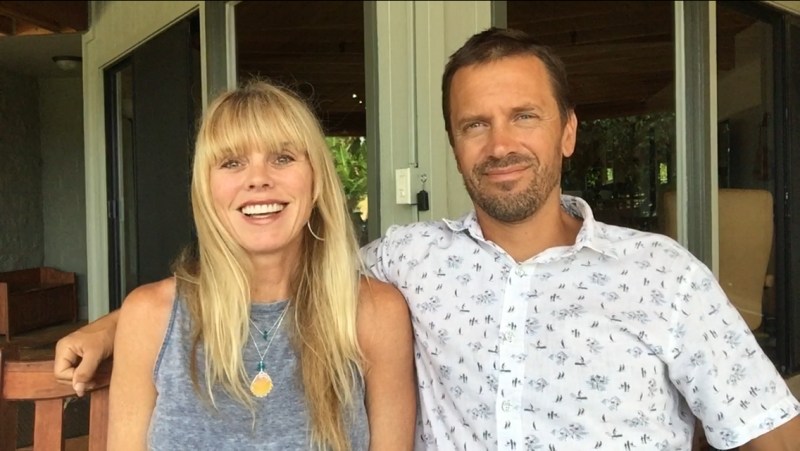 For years these two have exchanged the phrase “You know me….” so when we discovered they were both Enneagram 7’s — everything made sense. Of course my boys have also learned to speak “Enneagram,” which is both helpful and hilarious. It has helped them develop greater self-awareness (which I find super important for teenagers!) as they recognize their own weaknesses and appreciate their strengths. I also think the Enneagram has helped them treat each other with more compassion and less frustration. See, I could talk about this all day, but I’ll cut myself off now, and instead I will share a list of the NINE TYPES, with just a few words about each. You can click on each type to find a complete description of it over at the Enneagram Institute site. The Intense, Cerebral Type: Perceptive, Innovative, Secretive, and Isolated; Information-gatherers. The Easygoing, Self-Effacing Type: Receptive, Reassuring, Agreeable, and Complacent. Peacemaker. 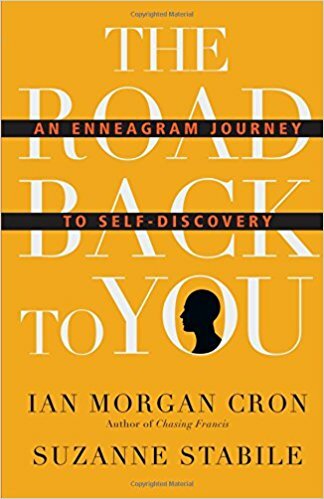 The Road Back to You podcast is ALL about the Enneagram. This book does a great job of making the Enneagram understandable and useful. It is written from a Christian perspective (though again– I encourage you to line everything you read up with the truth of the Bible.) This book gave me the clearest explanation of each personality type, with strengths and weaknesses, and practical help for becoming the best version of you. Want to to win a copy?! Giveaway closed. 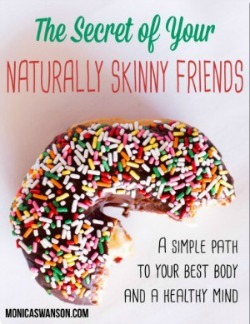 I want to give a copy of this book away to one of you! To enter to win, please leave a comment below, and you’ll be entered to win. If you know your Enneagram type, I hope you’ll share it! If you have a different favorite personality test, I want to hear that too! 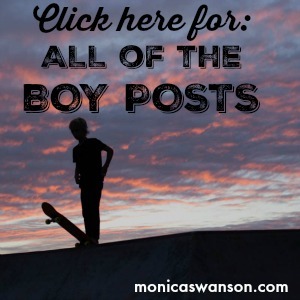 If you don’t know your type yet, that is ok– leave a comment anyways! I’ll choose a commenter at random on Tuesday, May 8th, 2018 and email the winner (as well as announce it back here.) As usual, my blog subscribers get double entries, so let me know if you’re a subscriber! **ALSO, if you share this post/giveaway on social media, let me know and I’ll add another entry as well! I’m looking forward to a fun conversation! I enjoyed your blog. No only have one son and two daughters but really needed insight to understanding my (type 4) boy. Once I learned about his type it helped me to love him better and help him understand himself. If you haven’t already, check out the Podcast, Sleeping at Last. It describes Enneagram types that is paired with a specific song made for each one & so much more! One-seven are completed & I believe 8 comes out this week. Your boys will love it too. Each podcast is made with great thought & compassion giving light onto each one. Enjoy! I took the free test and found the results to be amazingly accurate. It gave me a #2 and a #6, of which I can concur with most of it. Very helpful for all relationships I imagine. I think I’m a 2, w7. 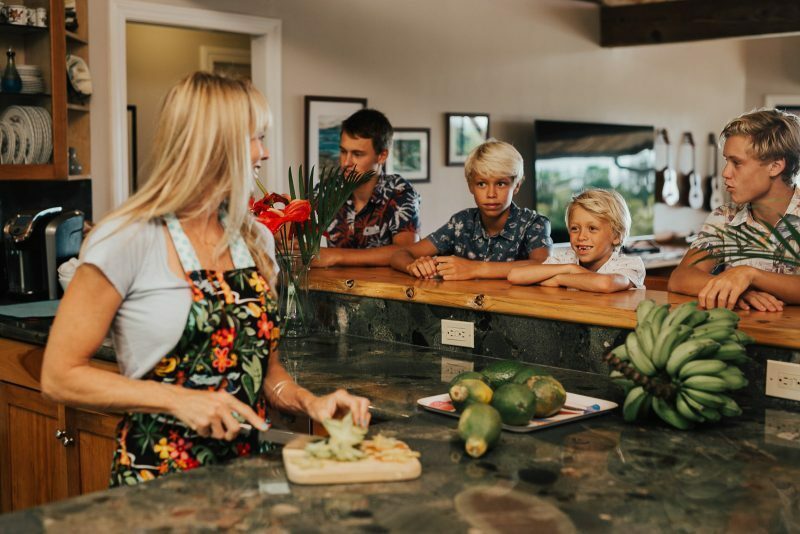 Our family visited Oahu and Kauai a couple weeks ago and we really loved the North Shore of Oahu. I totally understand why you would love living there! We live in Oregon and it was nice to be warm and experience aloha. I have never understood it and would love to learn more. It would simplify life. I have subscribed to your blog for several years and receive weekly emails. 1 w9 – pegged myself perfectly before taking the test. Thank you! I had actually never heard of this particular personality testing. I find these things so interesting. Cannot wait to figure out what all of our kiddos are! I am so behind!! My adult children say this has really helped them and I’d like to know what they are talking about but there are so many books. I returned about six to the library without really getting any benefit from them. Thanks for one good rec. Oh, I’m a Reformer (#1) wing 2! Thank you Lisa! Love “meeting” you! 🙂 I don’t mind my quiet subscribers, but I do love it when you say hi! Thank you for the kind words! And now that I know you’re a 1, it means even more (you could be critiquing me of course! haha…) Blessings, and aloha! What a great idea! I took the Enneagram at work to discover more about myself and my colleagues…it was a great tool to be more aware of ourselves and each other. But I love your idea of doing this as home! Thanks for all your insight and great ideas..keep them coming. And I can’t wait for your book to come. When is the release date?!?! Thank you Connie! So much fun. And yes, I definitely feel like I “get” fellow 3/2’s! 🙂 Thank you for subscribing to my blog also– so glad you’re a part of this fun community! Reading this from a sunny Ireland (true, amazing but true!). The fun that your guys get from surfing, our guys get from camping. We are a huge scouting family. Work, family and life can be so hard to juggle but when you keep in mind that God always has a plan, and when you take the time to absorb the amazing men that these boys are becoming, life is good. I would love a copy!! Love your blog! I love that you’re sharing this! I’m a one and my husband is a five. It’s hard to hear about what our inner motivations are, sometimes, but the Enneagram has helped me recognize my tendencies and the why behind them. I have just started learning about this! I think I’m a 5 based on two free tests I took. I also love learning about Myers-Briggs…my results go back and forth between INTJ and ISTJ. Love this! I became familiar with the Enneagram a couple years ago when Russ Hudson(I believe founder of Enneagram Institute) did an in depth teaching on it with Richard Rohr. I have not seen the book that you like so much so I would love to dive into that! I am a 1 and need to figure out my ‘wing’ :-). Married to a 3. Still figuring out our kids but think we have a 2, 7, 8 in the mix with another 3 possibly. I have loved this as a tool for interpersonal relationship dynamics and am motivated now to revisit it and dig a little deeper! I too am a 3 and 2! Is there any wonder I enjoy your blog so much?! Also married to a doctor who is a 5! Ha! Wow! I had no idea it was so complicated. I took the test and turned out I am 6 with a 6 wing, astounding. I’m learning about the Enneagram myself! I’m still new to it and not 100% sure I’ve typed myself correctly yet. But I might be a 4w5. The Road Back to You is the first book I read (and later bought too). And I’ve listened to several of the RBTY podcasts with my husband as well. Hubby thinks he may be a 5w3, but again, we aren’t sure of our types yet. One other podcast I really enjoyed listening to is Beth McCord as a guest for Annie F Downs. Also, I’m currently reading Mirror for the Soul: a Christian Guide to the Enneagram by Alice Fryling. It’s such an interesting way of look at yourself and your motives and then use that understanding to be able to change some of your negative behavior patterns by better recognizing them. I’d love to find out what my family and I are! I think I may be a 1 with a side of 3. 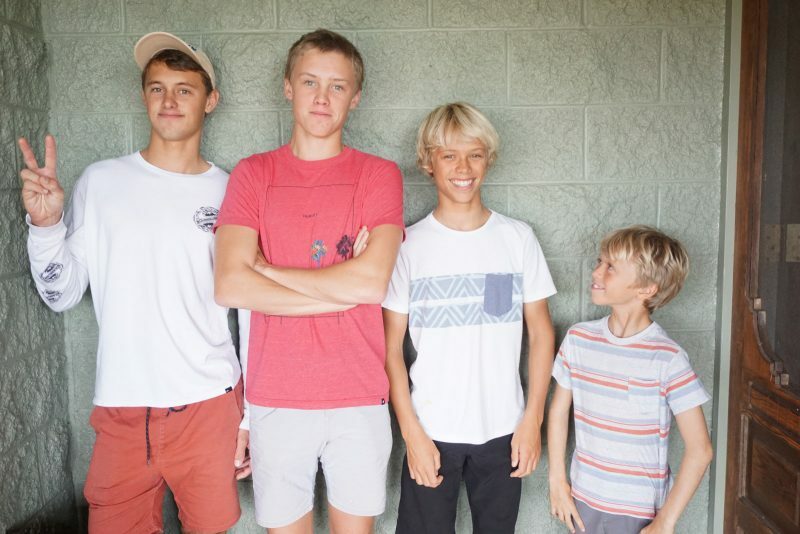 I have 3 boys, who I’m betting are a 5, an 8 (with a healthy side of 4; although at first glance those two seem at odds, they fit him to a T), and a 7. And one sweet little princess who right now is a 2, but she’s not quite 3yo, so that may change as she comes into her own a bit more. She has a strong stubborn & independent streak, along with that intense desire to help. I can’t quite decide what hubby may be, a 6, perhaps? One thing is certain, there are no two alike – and life is never dull in our home. I am a subscriber to your blog, and I’ve shared this post. Thank you an dyes so much fun analyzing all those family members. 😉 Hope you can dive in and learn more–I know you’ll gain insight through it. Glad you’re a subscriber and thanks for taking the time to comment. Aloha! Love this! 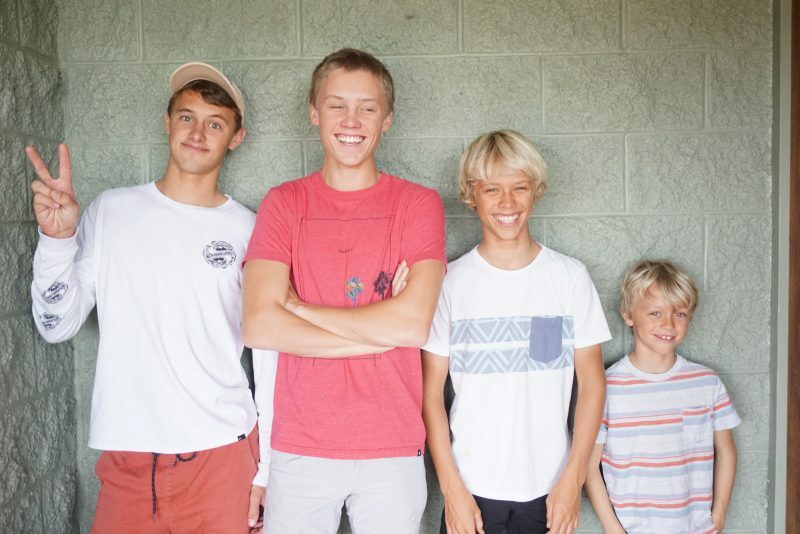 We are a family of 6, and I can’t wait to figure everyone out! I am pretty sure that I know a couple of my kids and my husband’s numbers…but I am going to have to take a test for myself as I feel like about three of them lined up with me (from your short description). Thanks for sharing on this!!! I think I’m a 9 wing 8 and I’d love the book. I don’t know what I am, but this whole thing is fascinating to me, and my hubby will love it. So taking the test! I’m just discovering the Enneagram and it has me sooo excited! I love the enneagram. As a 3, it has been one if several things, in addition to counseling and contemplative solitude with reading scripture that helped me really grasping the unconditional part of God’s love for me. I highly recommend reading The Enneagram: A Christian Perspective by Richard Rohr and The Sacred Enneagram by Christopher Heuertz for deeper info on the tool. I also live all the podcasts that Ian Cron and Suzanne Stabile have done together and separately. I am in a study currenting going through The Path Between Us. Is anyone else reading That? Would love to hear thoughts. I’ve read about this personality test in Reading People by Anne Bogel. I even checked out the book you are giving away, but I never got around to reading it! Thanks for getting it on my radar again! I had never heard of this! Just took the quick test you linked to and I’m a 9, with 6 & 5 wing. I recently was promoted to manager at my job and now oversee 11 employees. I’m thinking this could be a great tool in being a good leader for them. Also can’t wait to see how my 2 boys test. Thank you, as always, for sharing you wisdom! Awesome Tomi (and congrats!! That is a big responsibility!!) Hope the Enneagram is a helpful tool, and that you enjoy applying it to all kinds of things! 😉 Much aloha. I think I am a 9 but need to keep reading and researching to be sure. Love that you blogged about this! Okay, I took a test a while back because I am totally fascinated by personality and how it develops within the brain, I learnt about the test while doing a psychology course last year. I am a 3 with a wing of 2 which has helped me understand why I keep trying to succeed in everything that I do. Can’t wait to discuss this with the rest of my family, I am a subscriber and really enjoy reading your blog. Woah woah havn’t read this particular book yet hun but dead-set as a Christian woman I can say the Enneagram was a gift from God into my marriage & life about 3 years ago – my hubby & I talk about it weekly if not daily it’s changed our parenting & our understanding of eachother, the world & people in it!! It means we understand ourselves & differences & don’t constantly trip over the same problems like idiots. We still trip over but we know why we do & how to say sorry & make changes!! It’s not easy to read as it requires openness to change but God helps a lot there too. I’m a SEVEN wth a 6 wing ! My hubby is a ONE with a 2 wing! Son (12) is a 1 with a 9 wing; Daughter (10) is a 4 with developing wings. I’ve only taken a quick online test and came out a 9 with an 8 or 1 wing…🤔..Look forward to reading more about it and figuring out the rest of the fam! I am a subscriber and love your blog and down-to-earth insight…and your amazingly beautiful HI pics! Blessings! haha, it’s the 5 in you! 😉 (I love it too though!) Thanks and enjoy! I have never heard of this! I would guess I am a 2 or 9? I am going to take a test. Sounds fascinating! Thank you Monica! After reading the descriptions, I haven’t quite figured it out my number yet. Next step = try the online tests – thank you for the links. As for other personality tests, I like the ‘Strengths Finder’. There is a book and I think a website as well. And I love being a subscriber – little rays of sunshine that help me view experiences/people with a different lens. This sounds fascinating and MAY be incorporated in “school” tomorrow, with our 3 boys! The book with the biblical focus sounds interesting! I have never heard of this but it’s very intriguing! 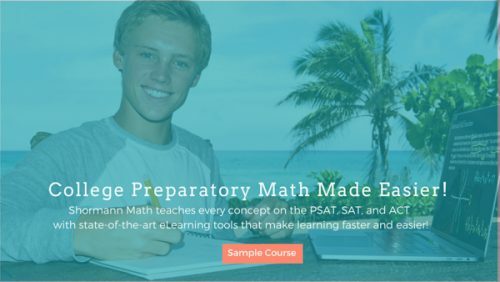 Can’t wait to learn more and take the test! I think I’m a 2 but is it possible to be a little of each one?? I’m one of your blog suscribers 🙂 yay! Love your blog! Ah, thank you Juli! And I’m so glad to be the one to introduce you to the Enneagram! Yes, you’ll discover your “wings” and a few other personalities you likely have some of us as well. Thats what i love about this particular typing! Hope you enjoy it all! 😉 Aloha and thanks for being a subscriber. I’m glad you’re here! Oh man- I keep hearing about this book! Now I need to read it. I would guess I am a 2?